It’s so fluffy, you’re going to want to die. 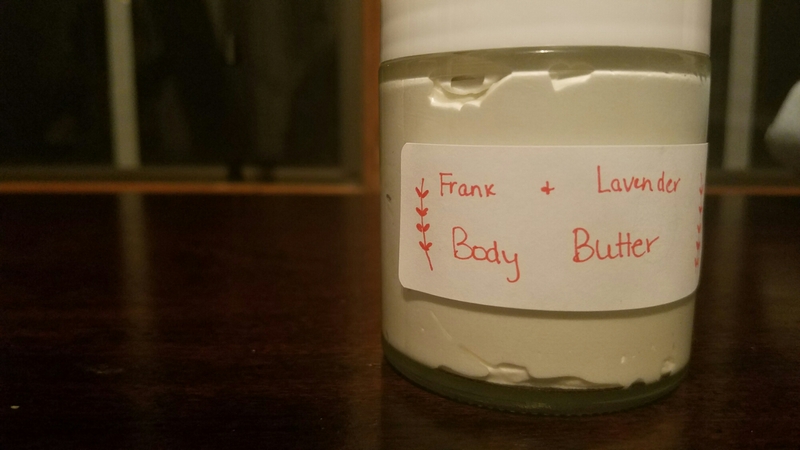 And then Young Living came in clutch with a DIY video of their body butter recipe. It looked so much simpler, so I thought okay lets do this. And simple it was. Simple it is. 10 drops of essential oil of choice. I used Joy in one, Jade Lemon in another and Frankincense and Lavender combination in the last. 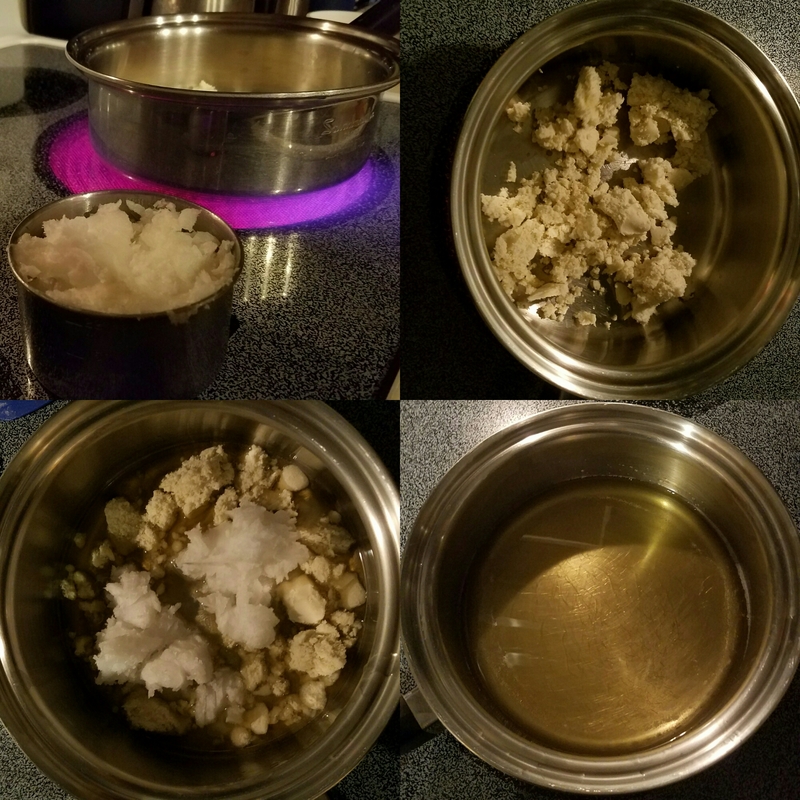 Melt Shea Butter and Coconut oil in a pan on medium heat until melted. Stir as needed and be careful not to burn. 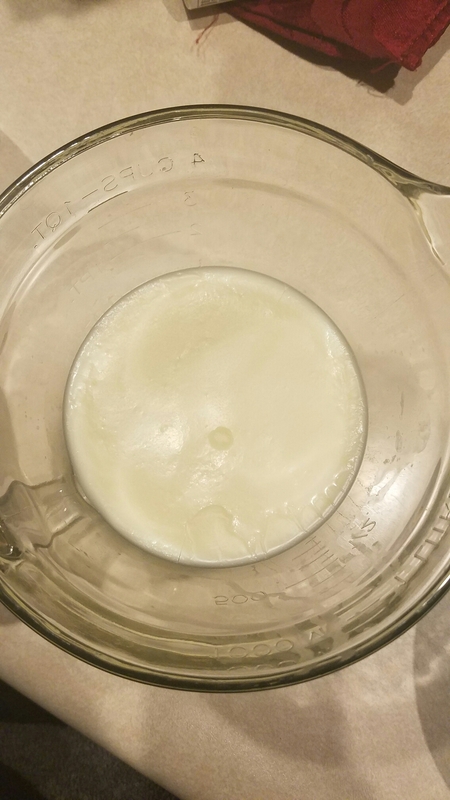 Once melted, pour into a glass bowl and let sit until hard. I set mine outside in the 20 degree Iowa weather and it seemed to do really well when it was cold. Once it has hardened together, Add essential oils. 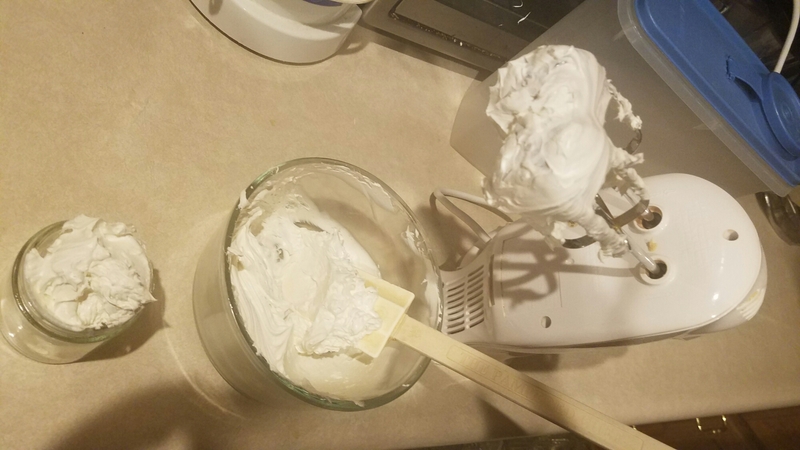 Use your hand mixer and whip for 10 minutes. Place in jar. Make cute label. I am absolutely in love. And if you didn’t catch my reference before…It’s so fluffy, I died. It’s so moisturizing and soft. Sorry, just really excited to share. Another note…don’t double the recipe or you’ll have body butter out of your ears. I filled about 10 4oz. jars with a double batch…BUT this is great for all of you followers. I am sharing a jar with one lucky reader! 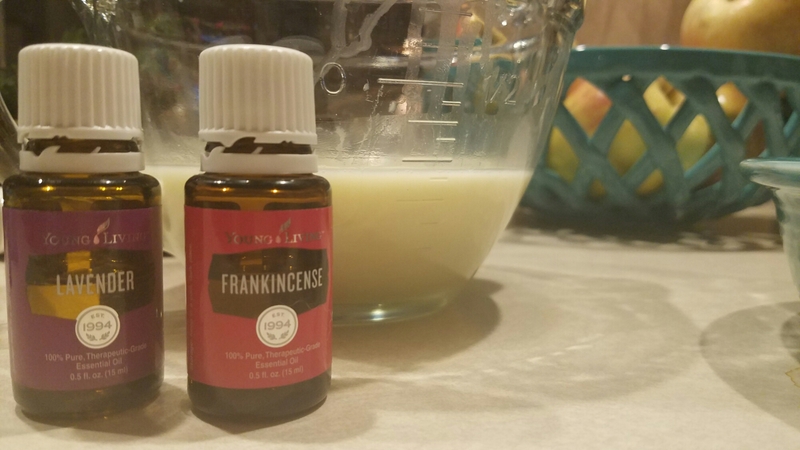 In the spirit of Valentine’s Day, use the heart reaction to like my post on Facebook and be entered into a drawing for a jar of my Lavender Frankincense body butter. Follow my blog to be entered twice! Enter before February 15th. Winner will be announced the 16th. Previous Post They put what in my mascara? !